Social networking site Twitter has rolled out a new photo-sharing feature for its users. The new feature will allow its users to edit images by adding filters, share more than one picture in a single tweet as well as tag friends in a picture. However, the feature will be available to web and Android users only at present. The feature might be introduced for iOS users soon. A new page posted by Twitter called “the ultimate guide to sharing photos” explains the features in detail regarding what users can do with photos on the site. Users will now be able to share up to four pictures in one single tweet. Not just that with the help of this new photo sharing feature , users can also edit photos once a final picture has been selected. New editing options included are cropping, adjusting brightness and adding filter to the images. 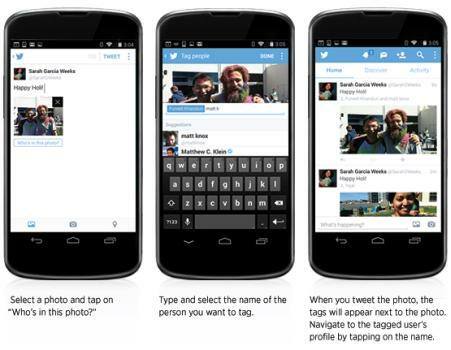 Users will be able to tag multiple users in a photo tweet, similar to tagging friends in pictures on Facebook. The tweet will be displayed to only those friends you have tagged in the photo. The guide also tells users how they can share photos in Direct Messages on Twitter.